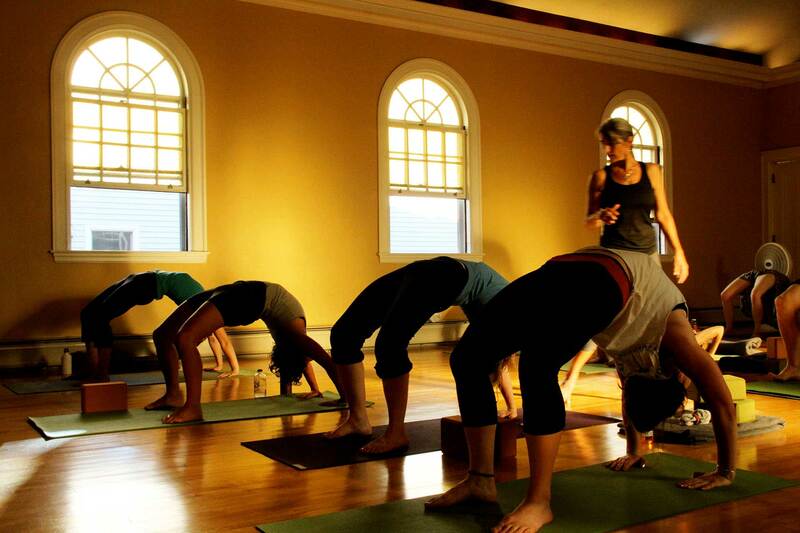 Welcome to School Street Yoga in Waterville. Check updates to schedule due to winter weather and holidays. Schedules will be updated with class cancellations at least an hour before class. 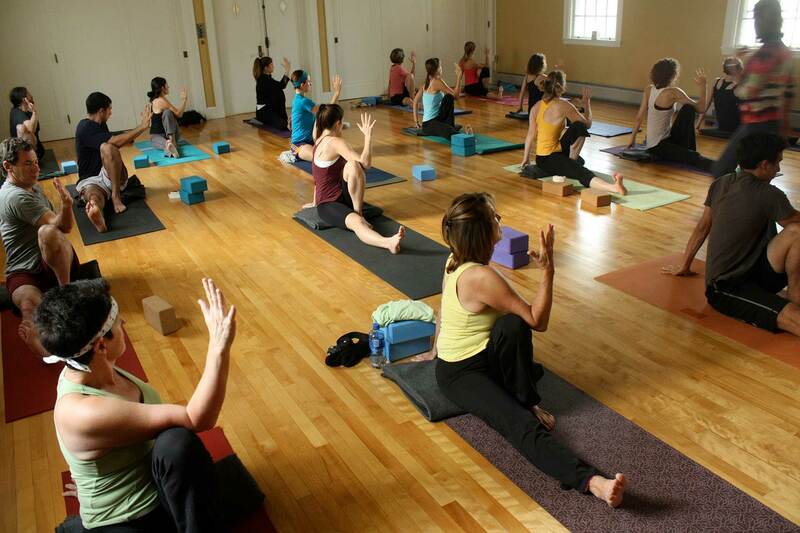 We want to thank our students who voted us Best of the Best, Yoga Studio in Central Maine! 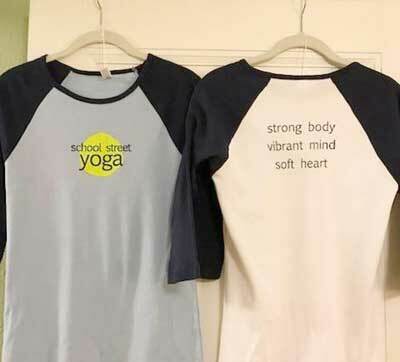 Kathleen Haberstock, the new owner of School Street Yoga, is very honored to be passed the baton by the studio founders, Jeri Wilson and Susan Golden. She will continue to foster the spirit of kindness and support that makes the studio such a special place for us all. 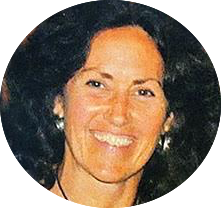 Kathleen, Jeri, Susan and the rest of the SSY family of teachers will continue to proudly offer a variety of yoga styles with some of the most experienced certified teachers in the area. The School Street studio is welcoming and authentic. From the moment you arrive, you'll feel comfortable, as you are greeted by the warmth of the teachers and current students. Our staff provide a safe and friendly space for all students with a full schedule of classes and workshops at various levels. School Street Studio serves Waterville, Augusta, the Belgrade Lakes region, and surrounding communities. Please check the schedule for classes, but there is no need to sign up for daily classes online. Feel free to drop in on any our classes, allowing yourself a bit of extra time to get settled on your mat. The more you attend, the more benefits to your body, mind & heart! Feel free to contact Kathleen with any questions or concerns. Please remember to park along the street! Due to allergies, please refrain from wearing fragrances. 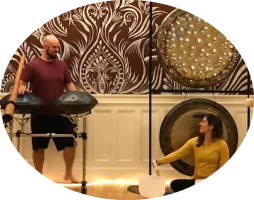 Two Sound Healing Events with Jeremy Arndt and Nancy Grzeszak in April! Yoga Nidra is the practice and art of Yogic sleep. It is a profound but simple guided meditation accessible to anyone. While in this safe, sacred space Jeremy and Nancy will create an immersive soundscape to guide you deeper. The healing vibrations will leave you feeling grounded with a deeper connection to Self. Join Jeremy and Nancy for an evening of soothing and healing sounds paired with a supported, breath centered Restorative Yoga practice. The fusion of sound, stillness, and breath will leave you feeling deeply relaxed and rejuvenated. 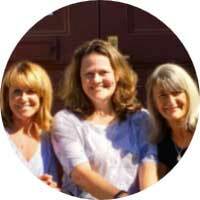 Join us for one or both of these deeply restorative sound healing events! Last time Nancy and Jeremy were here it sold out! Secure your spot! Read more: Two Sound Healing Events with Jeremy Arndt and Nancy Grzeszak in April! 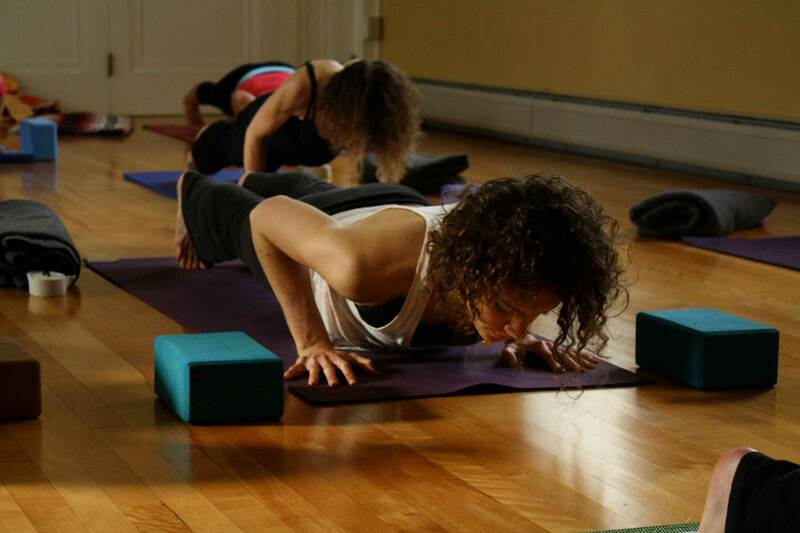 Prenatal & Postnatal Series Starting in Early May! Join Emily Widor for a Six Week Prenatal Series! Nurturing and inspiring! This combo class for mothers-to-be and new mommies is designed to lovingly support you during these beautiful--yet often times challenging--phases in life. Breathing, relaxation, gentle asana and inspirational readings/resources will support you in truly nurturing yourself during all stages of pregnancy and beyond. Give & receive a heavenly back massage that will leave you and your partner wishing for more! Thai Massage when it’s practiced as a heart-felt exchange is a gift that keeps on giving. By definition, it’s as good for the person offering it as the person who receives it, physically, emotionally, spiritually. That makes it a perfect gift for couples, friends, loved ones who want to help each other feel amazing and deepen their bonds. Come with your partner, a relative or a good friend. This workshop is separate from the Thai Massage Weekend Training. 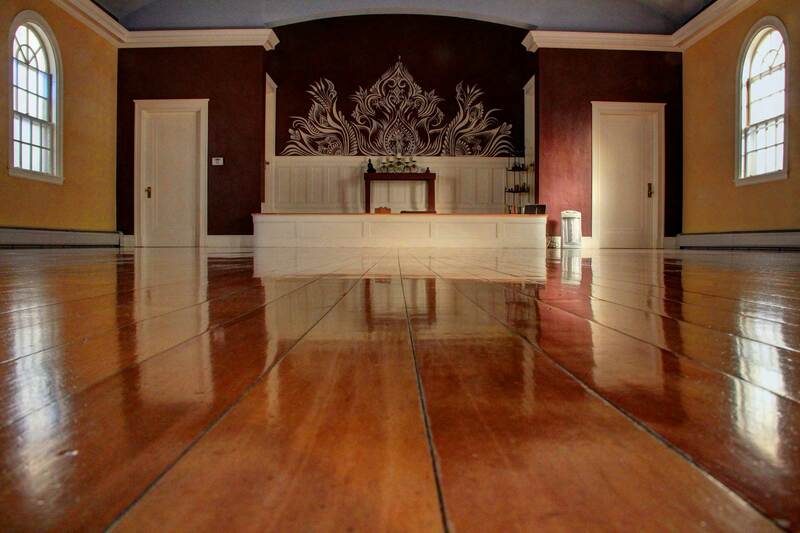 Thai Yoga Massage Whole Weekend Training (Or Just Join Friday Night)! Friday, May 3 - Sunday, May 5! Friday: 6:30 pm - 9 pm; Saturday & Sunday: 9 am - 6 pm. $429 (Includes price of book). Learn to give a sensational hour long Thai Massage, while receiving one too! REGISTER for Full Weekend HERE! and learn to give (while you also receive) a neck & shoulder massage. $35 REGISTER HERE! Thai Yoga Massage is an ancient and timeless therapeutic approach which combines yoga with an extensive range of touch techniques using your whole body to help give. 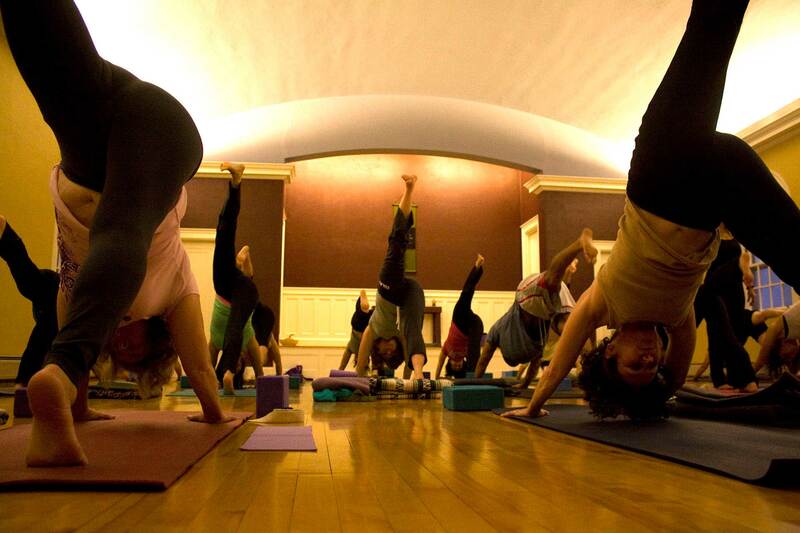 Read more: Thai Yoga Massage Whole Weekend Training (Or Just Join Friday Night)! Friday, May 3 - Sunday, May 5! Each Friday, one of these new teachers will offer a Community Class at School Street from 5-6 pm. Suggested Donation: $5 ~ All are welcome! Congratulations to the graduates of the Jaya Yoga 200-hour Teacher Training who graduated in October! Classes are open to the community, by donation--join us! Donations will be accepted to help cover expenses and to go towards scholarships for students to attend future meditation workshop. We have several different styles and colors of t-shirts, tanks, and long sleeve shirts. Come a few minutes early to class and do some shopping. Look for new mats and straps too! Encourage friends and relatives to shop for you at School Street. They can put a gift-credit on your account for you to spend on yoga or merchandise! Gift certificates • A Great Variety of Tees • Stainless Steel Water Bottles • Yoga Mats • Yoga Supplies • More! New shirts have just arrived!